On the western fringes of China lays a mammoth sea of sand surrounded on nearly all four sides by dry forbidden mountains. An inhospitable burning deadzone that was so massive- that to put into perspective, was the size of the Ukraine, or that of France plus Switzerland, Belgium, and the Netherlands. It was a flashpoint of rival empires, as well as a conduit of many rich, exotic traditions. Above: ceramic Apsara roof figurine dating from the Western Xia Kingdom, which controlled the eastern most entrance into the Tarim Basin. 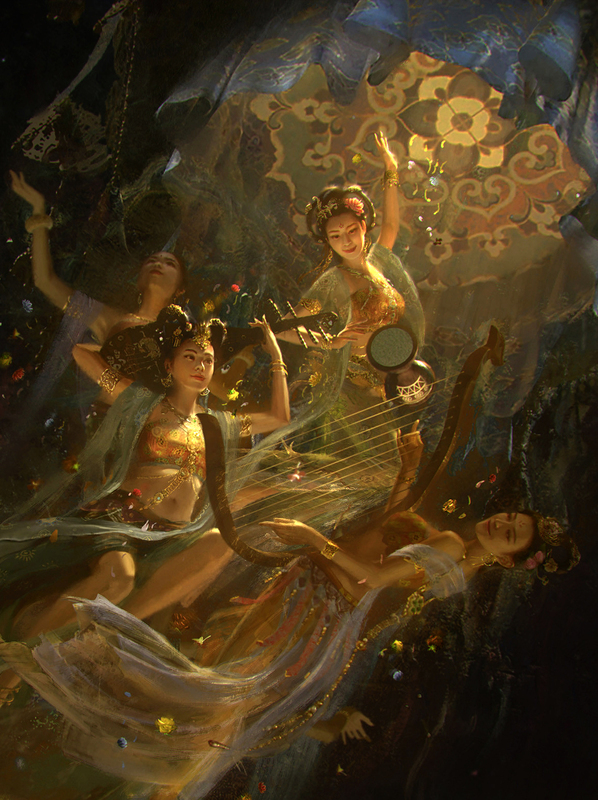 Apsaras were Buddhist equivolent of angels. During the first millennium of its history the region was frequently a site of endless war between the three great powers surrounding the region, the various Han Chinese empires, the Tibetan Empire, and the ferocious tribes from beyond the steppes. This series will largely focus on the region's turbulent history and its peculiar political dynamic from 2th century BC. to the 11th century AD. Though the region was the site of over two thousand years of strife between foreign empires, the light of civilization burned throughout all of it. The oasis was the measurement of the wax and wane of great powers, and though overlords came and went, the ancient identity of the natives remained preserved for a millennium until the coming of Islam in the 10th century. If one were to look at the broad strokes of the 2500 year history of the region, one would discover a vast assortment of empires and Khaganates (steppe empires or confederacies) that have laid claims over the region, stamped their culture in the region- only to be then displaced by another group of foreigners in an endless cycle. No other region in the world, with the exception of the Levant and Sicily, has been a ceaselessly sparring ground where foreign overlords dueled. For 2 millenniums, the Tarim Basin has been a measuring stick for any ascendant powers that could hold it, and a death knell for any power that fails to keep it. Blustering empires would come, imprint their identity upon the region, then vanish as they felt their powers weaken. The very identity of the Tarim Basin was thus forged from the identities of its procession of conquerors. The history of the Tarim Basin in the first millennium has been particularly unique because it is one of the few regions in East Asia that maintained an extremely enduring system of city-states for over 1,500 years. Thus one could imagine the political landscape of the Tarim Basin as a patchwork of petty city-state kingdoms which endlessly competed with one another while great empires perpetually hovered around it in the hope of ruling over all of them~ much like medieval Italy. It was in these frequent struggles that some of the small city-states, - usually the loosing party would call out to neighboring empires to intervene on their behalf, thus leading us to the second element of the political climate in the region: the coming of mighty neighboring empires to exploit the conflict and use as a pretext to establish their suzerainty in the region. It should be said that for any powerful empire foolishly imagining they could roll into the region and seize control with ease- all who laid claim to the region has fell prey to this dangerous mirage. They couldn't be more wrong. For usually, as soon as one of the city-state have enlisted a mighty empire as its protector, its rivals would immediately put the call forth for another empire to come into the conflict on its behalf. 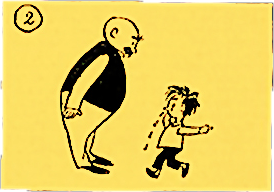 And like the quagmire created by the Mamertines mercenaries which instigated the 23 years of the First Punic War between Rome and Carthage, usually, when two or more mighty empires around the Tarim Basin were called into the region to support their little allies, they would be forced to fight its powerful rival in a knock out, drag out full scale war, be they the Han Chinese, the Tibetans, or the Khans who watched closely from the northern steppes. Countless powers have made their bid for the region, only to be chased out later by another intervening power. It was only when one "zoomed out" of the greater trend of history of the region that one would see what the region really was: A trap, an entanglement and exertion for all of its would be protectors and possessors. 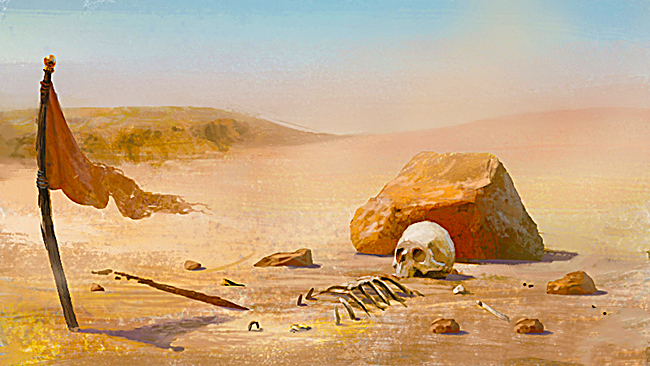 The empires come, they'd fight, they'd die, but across the thousand years, only the native's petty rivalry remained. There were two native groups of settlers in the Tarim Basin before the coming of the great empires and it should be noted, both were Caucasian and possessed colorful hair and multi- colored eyes. The earliest documented inhabitants of the Tarim Barin were likely the Tocharians who perhaps are the easternmost group of the warlike Indo-Europeans (also referred to as the Indo- Aryans.) Caucasian mummies with high cheek bones and multi-colored hair (mostly red) have been found in various locations in the Tarim Basin such as Loulan, the Xiaohe Tomb complex, and Qäwrighul. These mummies have led scientists to suggest that people may have inhibited the region since at least 1800 BCE. Protected by the ring of mountains and the Taklamakan Desert from steppe invaders, for two millenniums, the Oasis was a haven and a time capsule for the Tocharians~ who built several citie-state kingdoms around the sparse oasis in the sand sea. They would have continued to not only survive, but thrive for two millenniums in the region- even during periods of occupation by the Kushans, Huns, Han Chinese, Tibetans, and the steppe Khans they would have enjoyed an extremely high degree of autonomy as governors for this long procession of overlords. 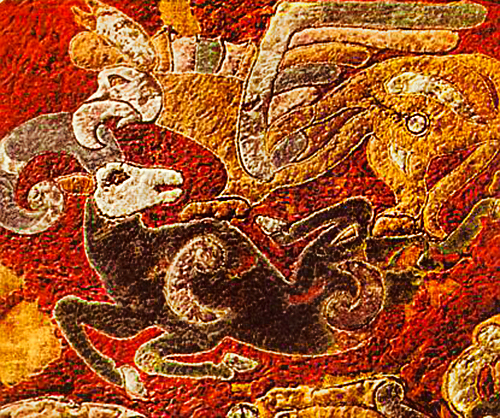 Above: a remarkably well preserved Saka tomb tapestry discovered in a Siberian tomb. 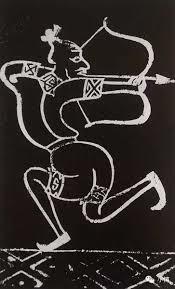 The Saka were a nomad warrior people who worshiped a variety of Animals and animist Gods. Linguistically and ethnically they were closely related to the Scythians. Second: A scroll written with the ancient Khotanese, a Saka (Indo- European) language that became extinct due to the expansion of Turkic language and the advent of Islam in the Tarim Basin. Another people in the region besides Tocharian are the nomadic Indo-Iranian Saka people who spoke various Eastern Iranian~ also referred to as Scythian or Saka. 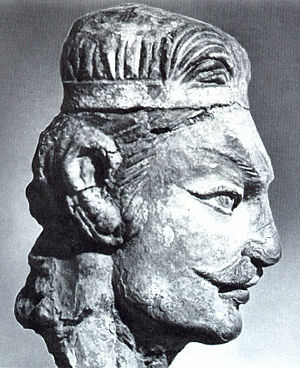 They were known as the Sai (塞, sāi, sək in archaic Chinese) in ancient Chinese records and the historical description seemed to have corroborated contemporary Persian sources in describing them with wearing distinctive pointed red caps. These records indicate that they originally inhabited the Ili and Chu River valleys of modern Kyrgyzstan and Kazakhstan. It is not certain when the Saka people moved into the Tarim Basin. Archaeological evidence from Shanpula near Khotan may indicate a settled Saka population in the last quarter of the first millennium BC. According to the great Han dynasty Chinese historian Sima Qian, they originally lived between the Tian Shan Mountains to the east of the Tarim Basin- and near Dunhuang of the modern Gansu Province. Different Saka groups have plundered as far as the boarders of Rome and Persia. 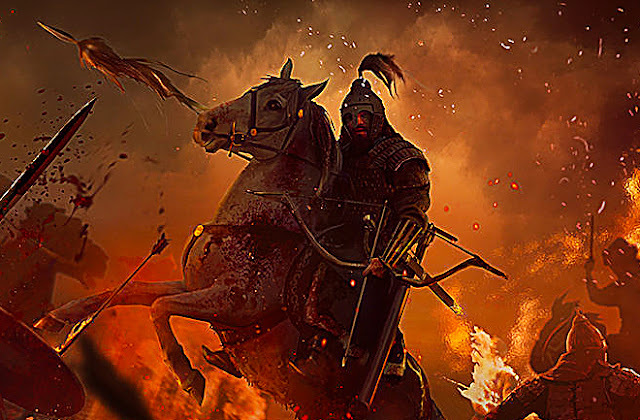 Though the Tocharians and the Saka seemed to have both came as nomadic settlers, it is important to distinguish them and the endless nameless enemies they have fought for centuries from the host of new conquerors. As a distinction, because these latter great empires were able to absorb all if not nearly all of the region under one throne and enforce sweeping policies that would transform the whole of the region in a great assortment of manners. The first truly great empire would have been the ancestors of the Huns that would one day sack most of the Roman Empire: the Xiongnu. 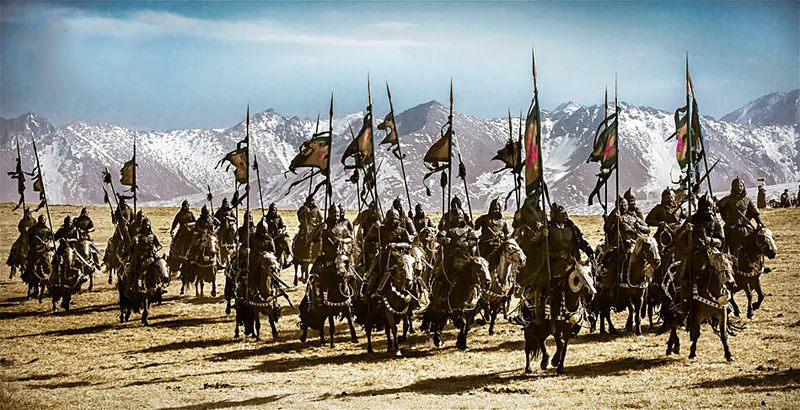 Like the Huns, the 匈奴 "Xiongnu" (literally "Xun" people) were a fierce Proto- Mongolian race of steppe conquerors who would subjugate most of East Asia. 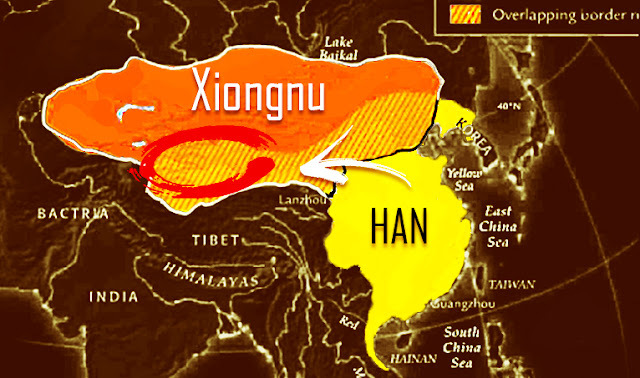 Several groups of linguists have speculated that the world 匈, or "Xun" is a Chinese transliteration of "Hun." 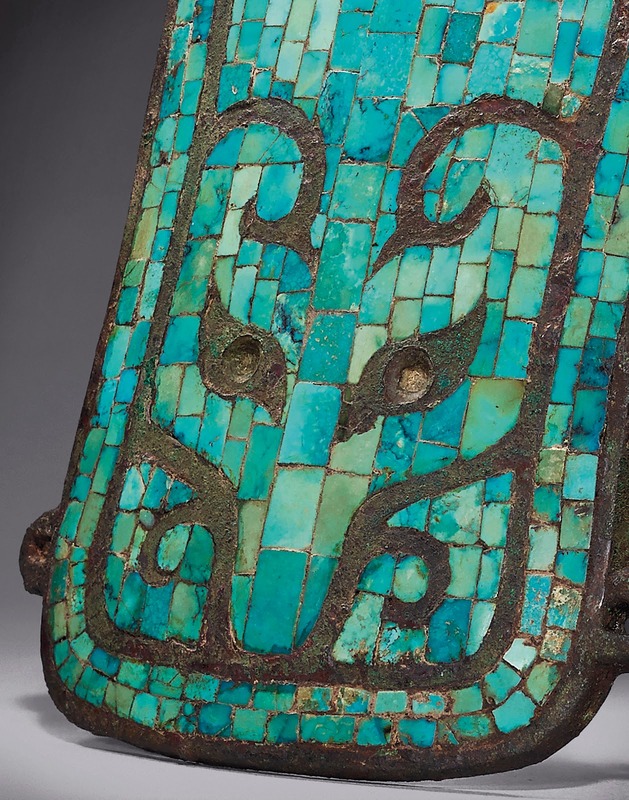 As we have stated previously, the Saka people once inhabited the eastern corner of the Tarim Basin and along most of the thin neck of the Hexi Corridor of the modern Gansu Province. 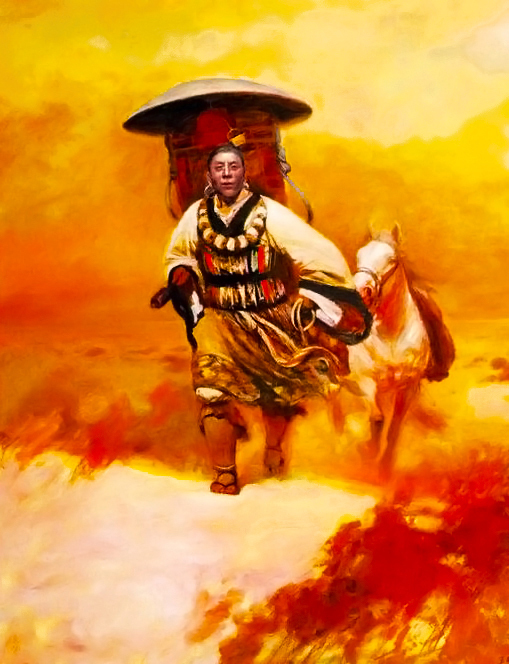 One of these people, the Yuezhi was savagely assaulted and was forced to flee from the Corridor by the forces of the Xiongnu (or Hunnic) ruler Modu Chanyu who thrusted into the region from modern Mongolia and conquered the area in 177-176 BC, crushing and displacing all in their path. 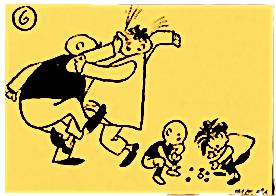 Because of the Hunnic invasion, the various native Indo-European group began a series of billiard ball~ like chain reaction that drove them all collectively out of their ancestral homelands. Because Yuezhi were driven out without resources or shelters, they spilled into the lands of their neighbors, in turn they were responsible for attacking and pushing the Saka west into Sogdiana, Bactria, and Ferghana Valley (Afghanistan and Tajikstan) others settled in some of the oasis city-states of the Tarim Basin. In total, more than a quarter of a million natives were driven out in a great diaspora, hurling them to found many Indo-Scythian Kingdoms in the modern Kashmirs. All the people- all the cities that chose to stay rather than taking flight became vassals and subjects of the Xiongnu Confederacy. 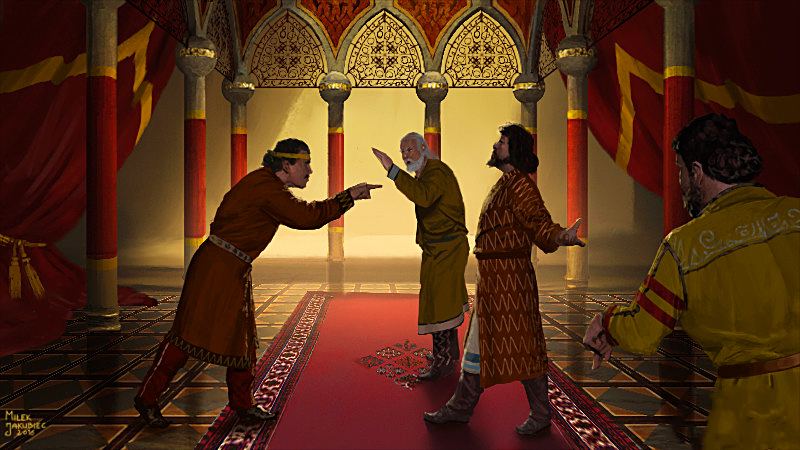 To the natives of the Tarim Basin, it must have been a strange sight when- no more than 40 years after they have been subjugated by their new overlords to beheld another group of foreigners, a mortal nemesis of their recent Xiongnu masters thrashing mercilessly at its heels. 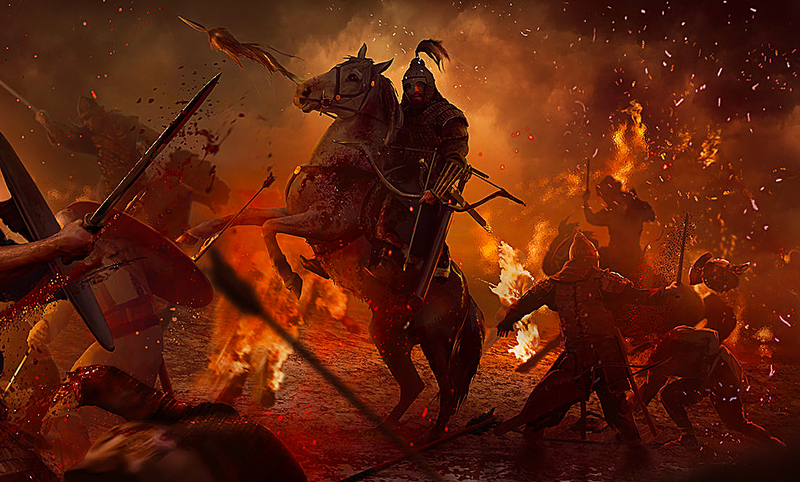 And for those who had been tired of their Xiongnu masters, who regarded the oncoming half million soldiers these strangers were able to field, who marched in tight phalanxes of infantry and cavalry columns all encased in massed lamellar armor, it became clear- its time to defect. In the mortal struggle between the Han Empire and the Xiongnu Confederacy, the conflict spilled ever westward until it ignited the Tarim Basin (Marked with a red circle) in rebellion. 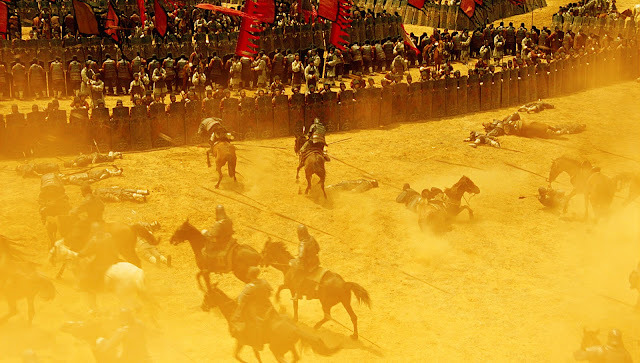 Military tension had long existed between ancient China and the northern "barbarians", mainly because the fertile lands of the prosperous agricultural civilization presented attractive targets for the poorer but more militaristic horseback nomads. 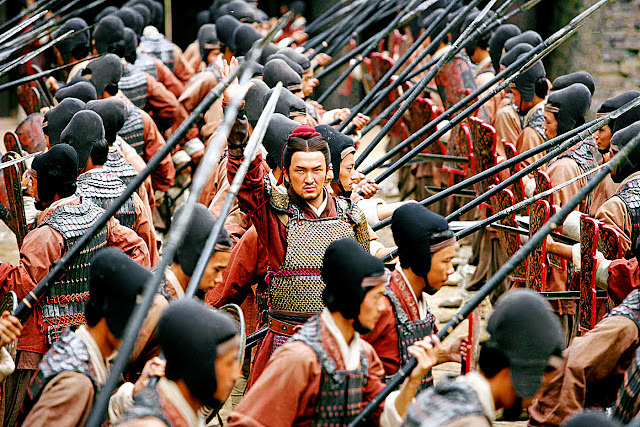 After the founding Emperor of the Han was decisively defeated by the Xiongnu tribesmen on the field he realized that the nation was not yet strong enough to confront the Xiongnu. 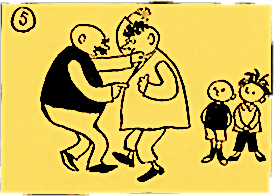 He therefore resorted to the so-called "marriage alliance", or heqin (和親), in order to ease hostility and buy time for the nation to "rest and recover" (休養生息). Despite the periodic humiliation of appeasement and gifting, the Han borders were still frequented by Xiongnu raids for the next seven decades. When the warlike Emperor Wu of Han ascended the throne, Wu decided that Han China had sufficiently recovered enough to support a full-scale war and stopped paying tribute to the Xiongnu altogether. 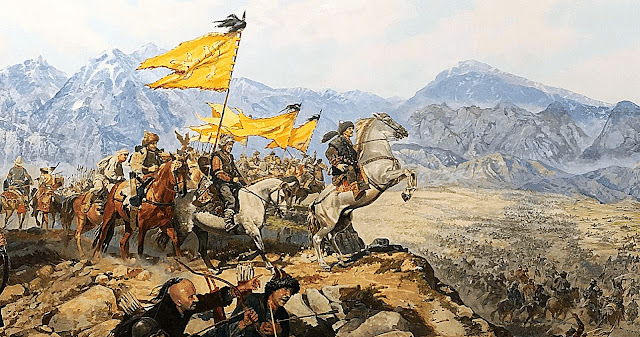 He first ended the official policy of peace with the Battle of Mayi in 133 BC, which involved a failed plan to trick a force of 30,000 Xiongnu into an ambush of 300,000 Han soldiers. While neither side suffered any casualties, the Xiongnu retaliated by increasing their border attacks. The failure of the Mayi operation prompted Emperor Wu to switch the Han army's doctrine from the traditionally more defensive chariot–infantry warfare to a highly mobile and offensive cavalry-against-cavalry warfare. At the same time, he expanded and trained officers from his royal guards. And it was here where our story picked up for the recently subjugated vassals from the Oasis Kingdoms. 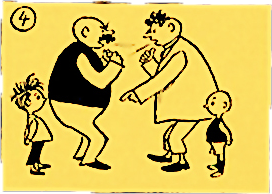 At this point, For the dweller of the Tarim Basin, this marked their first recorded instance of a clash between Titans. 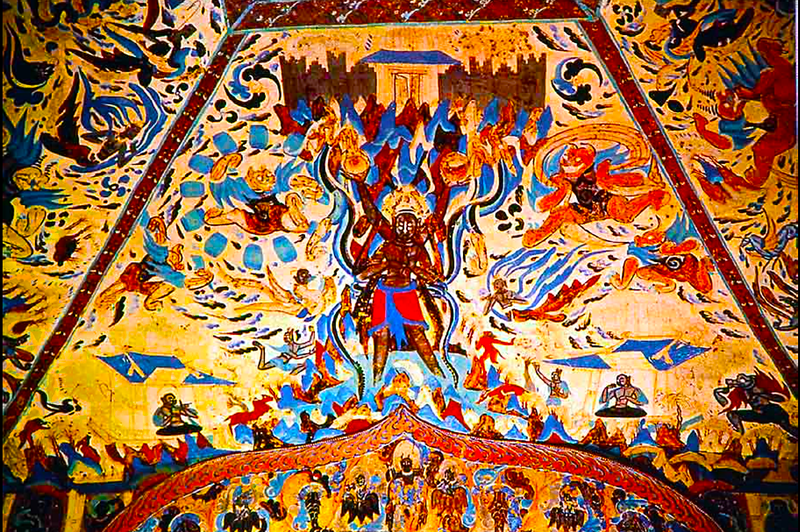 The reformed Han came like a war hungry avenger, and under the leadership of two brilliant Han generals, Wei Qing (the half-brother of Emperor Wu's favorite concubine) and Wei's nephew, Huo Qubing between 127 and 119 BC, the Xiongnu were defeated in a string of decisive and extremely bloody battles and more than hundreds of skirmishes, within a decade they were expelled from the Ordos Desert and the Gansu Corridor. Deep Han penetrations into the Xiongnu heartlands. After the debacle at the failed ambush of Mayi, Emperor Wu of Han immediately reoriented his military to be a mobile offensive cavalry dominated force. 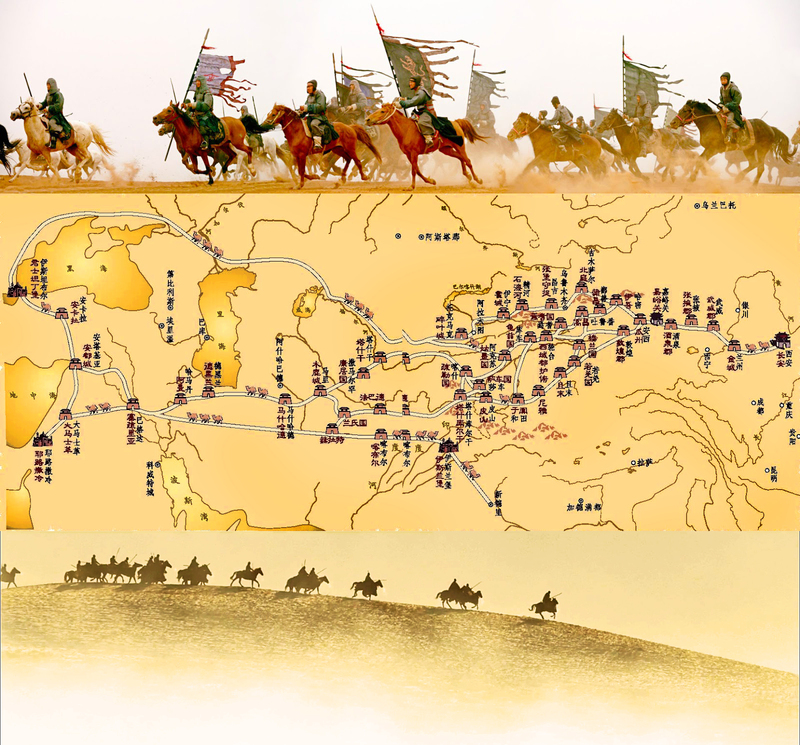 In 127 BC, the Han launched several simultaneous attacks and gained territories all along the northern banks of the Yellow River. 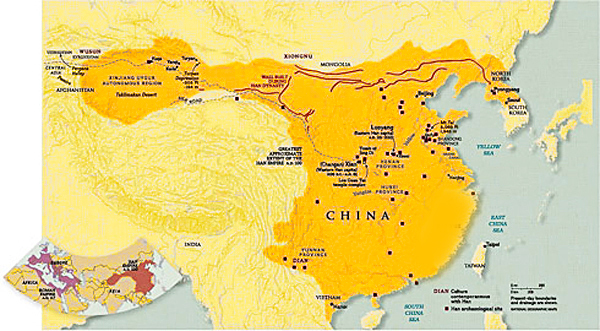 Using the Yellow River Banks as a foward defensive line to launch further invasions, the extremely aggressive generals Wei Qin and his young nephew, the 18 year old Huo Qubing formed two heavily defended and well supplied columns that fought and delved deep northward into the Xiongnu heartlands in 2 simultaneous expeditions which forced the Xiongnu chieftain to escape and splitting the Xiongnu realm in half. 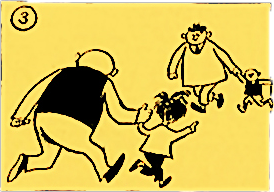 Seeing the rapid successes of these strangers, those who have long suffered under the Xiongnu- specially the like of the Wusun people- one of the many native Indo-European people whose King and his royal family was slaughtered by the Xiognu and driven out of their homelands merely a generation ago quickly defected en masse and joined the ranks of the coming Han as allies and auxiliaries. The first record of the oasis states is found in Chinese histories. The Book of Han lists 36 states in the Tarim basin that dated as far back as 300 BC. 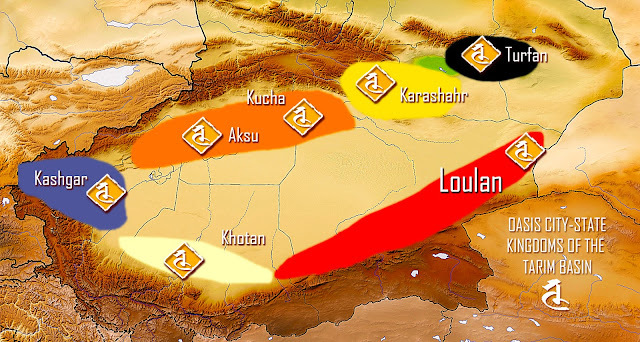 Tocharian-speaking city states, inclided Ārśi (Arshi), Kuča (Kucha), Gumo (later Aksu), Turfan (Turpan), Loulan. 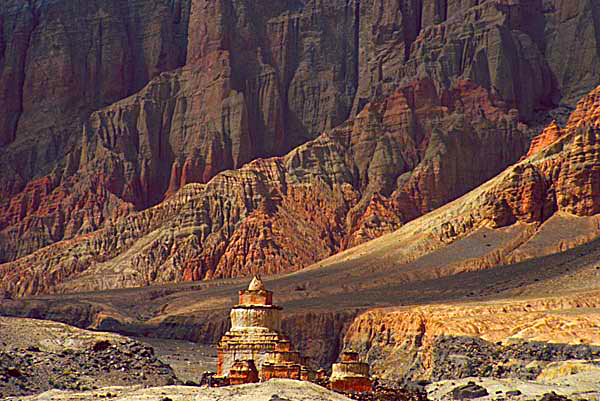 While the oasis city-states of Khotan and Kashgar largely spoke Saka. Under the leadership of Eastern Han General Ban Chao (32–102 CE), the Chinese would have completely drove off the Xiongnu back to the Mongolian steppes and transform the Tarim Basin as a militarized frontier of the empire called the "Protectorate of the Western Regions." The many oasis Kings and mayors of the city-states would retain their status as local rulers, but also act as Han governors and frontier adjuncts for the Han military. Many would construct great square courtyard palaces with sloped hip and gable roof in imitation of the Han style. Upon the Han arrival, the Chinese state established a military seat at Wulei (near present-day Cedaya 策达雅, and created a bureau for translation of local languages and local customs, their aim was to integrate the diverse peoples and cultures of the Western Regions and also keep the Xiongnu away from Inner China. The Chinese would remain for over 200 years, the seat of the Protectorate would later be shifted to Kucha during the Eastern Han dynasty. During which time the various oasis general- Kings would both serve the Han as frontier generals while simultaneously attempt to unseat each other in a ceaseless (but never rebellious) "game" of thrones. So as to say, they all answered to the Han Empire, and so long as they are obedient, they were free to compete and subjugate each other. As a result of these territorial acquisitions, the Han Dynasty successfully opened up the Silk Road, allowing direct access to trade with Central Asia. This also provided a new supply of high-quality horse breeds from Central Asia, including the famed Ferghana horse, further strengthening the Han army. After this, Han diplomatic missions that established relations with many kingdoms beyond the Pamir mountains~ from Bactria, the Seleucids, to all the way to the Roman Empire, the various cities of the Tarim Basin would serve as waystations on the trade routes. 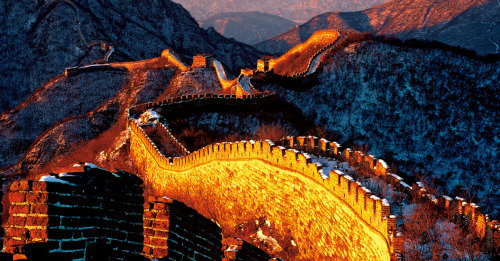 Anachronistic Ming dynasty Great Wall. During the Han~ they would have erected the Han dynasty Great Walls made of rammed earth along the northern banks of the Yellow River, connecting all the way to the Yumen Pass (Jade Gate) near Dunhuang~ the eastern entrance of Tarim Basin. When the Han dynasty exerted its dominance over Khotan, the population had more than quadrupled. The Book of the Later Han, covering 6 to 189 AD, says: The largest were Kucha with 81,000 inhabitants and Agni (Yanqi or Karashar) with 32,000. Also, according to Chapter 96 of the Book of Han, covering the period from 125 BC to 23 AD, Khotan had 3,300 households, 19,300 individuals and 2,400 people able to bear arms. 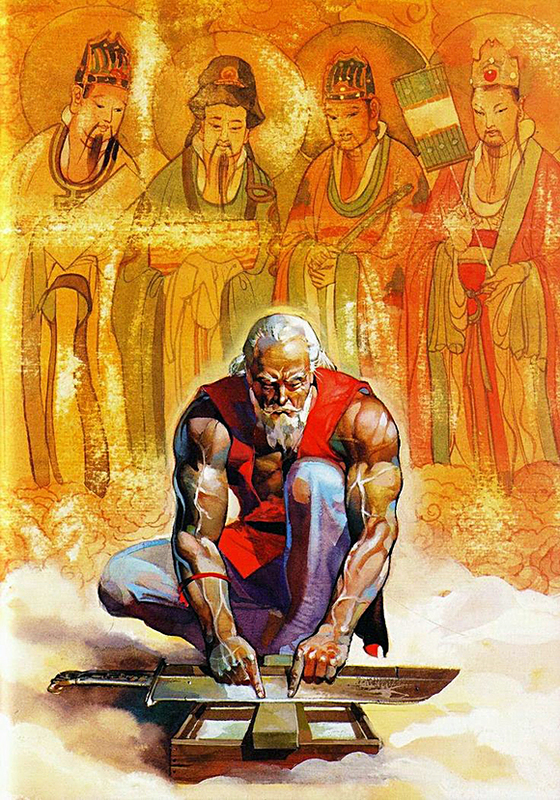 However~ just like their Xiongnu predecessors, their presence would one day be eclipsed as well with the coming of strangers. The next age of the Tarim Basin would be characaterized by the coming (and going) of a quick procession of empires, and the coming of endless new religions through the trade network of the Silk Road. It was in this boarder-less world that the dwellers of the Tarim Basin were formed, then reformed again by the hands, and thoughts of the new invaders. On 29 July 107, a series of Qiang (a Burmese/ Tibetan) uprisings erupted from the eastern fringes of the Hexi Corridor and ejected several of the Eastern Han garrisons, although they were re-garrisoned in 119. Afterwards, the powerful Kushans- a war like Indo-European empire expanded into the Tarim Basin later in the century, where they established a kingdom in Kashgar and competed for control of the area with steppe and Chinese forces- the western basin was detached from Chinese hold, and with the collapse of Han authority in the 200s. 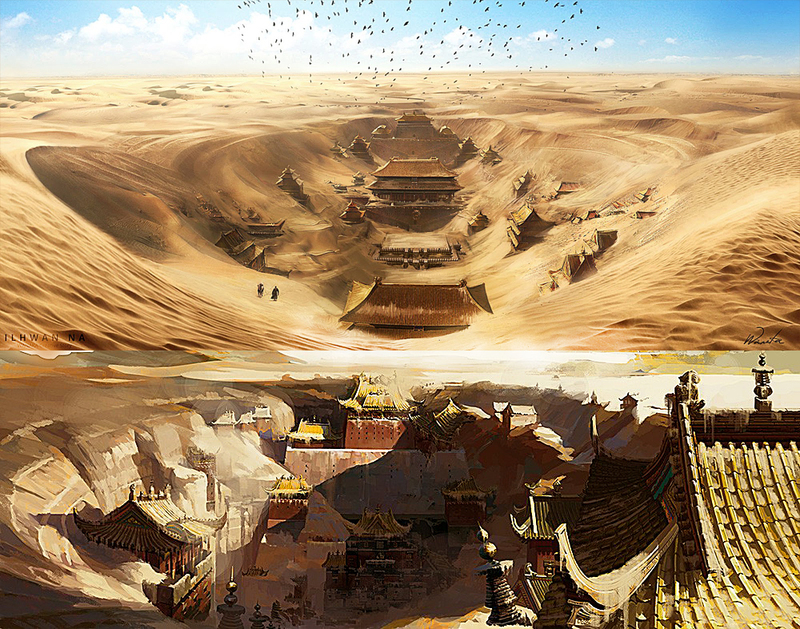 The region become abandoned by the Han. Boasting perhaps one of the strangest collections of territories, the Kushan Empire- composed of Indo European nomad warriors essentially created a dominion of the many valleys that laid between modern central Asia, Iran, India, and China. Nestled on the back of the Himalaya mountains- the empire composed of several valleys, ranging from the Ferghana, Sogdian, Bactrian valleys all the way into the Hindu Kush and the Indus river valleys. Their Tarim Basin holdings are marked in yellow. The first significant group of people besides the Chinese to hold sway were the Kushans, an Indo- European empire of mounted nomad- and former allies of the Han. 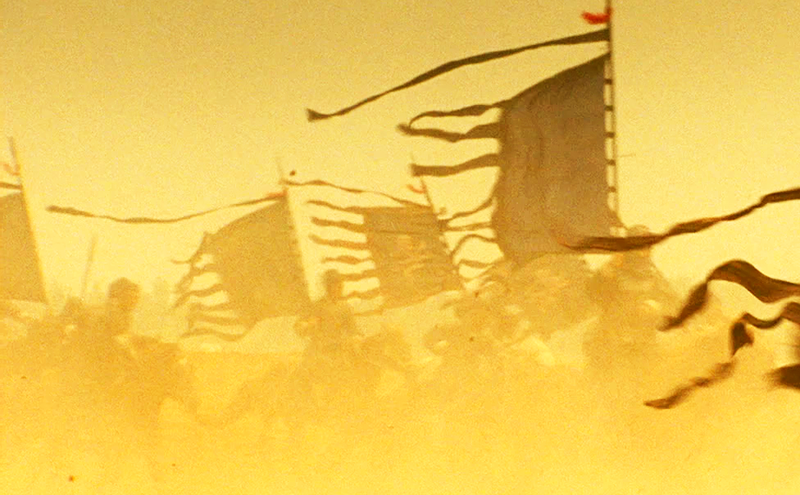 They were natural conquerors, tall, proud, mustached, and ever dressed in expensive silks, these Saka blooded warlords~ who formed a crescent shaped empire all along the base of the Himalayas spilled onto the Tarim Basin as Chinese presence began to deteriorate in the region, as such, many of the Tarim kingdoms opted for greater interaction with these powerful warriors. In the second century BC a Khotanese king sent a contigent of warriors across hundreds of miles to aid the famous Kushan Emperor Kanishka to conquer the key town of Saket in the middle of India. It should be noted that by this point the Kingdom of Khotan was very Sinicized and in many aspect of their lifestyle they were nearly indistinguishable from the Han Chinese remnants, but as the centuries progressed, a dual culture emerged, that of an Hindu "Indian" inspired culture alongside that of the traditional culture. 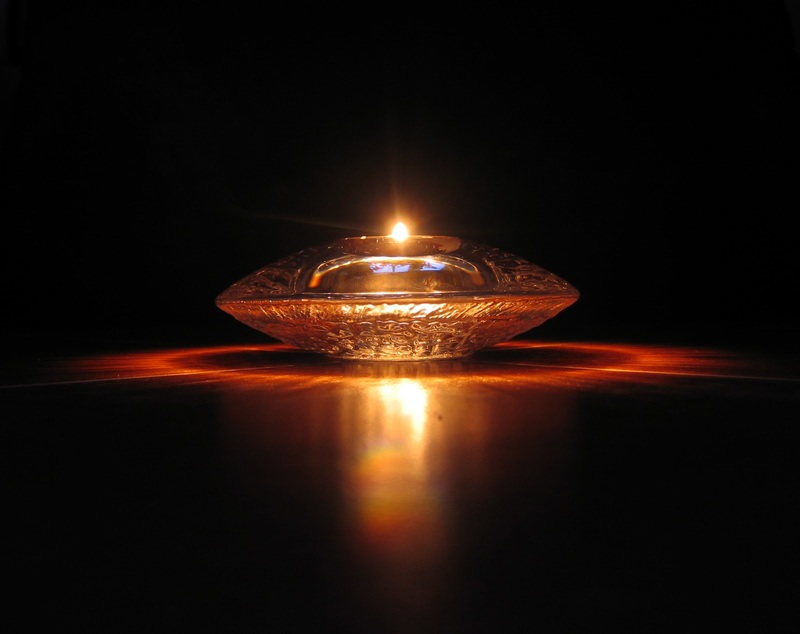 The Kushans introduced the Brahmi script, and the Indian Prakrit language for administration and holy rituals. Minted coins from Khotan dated to the 1st century AD bear dual inscriptions in Chinese and Gandhari Prakrit in the Kharosthi script of the Kushans, showing links of Khotan to India and China in that period. However their greatest contribution to the region was something much more than the apparatus of state itself. 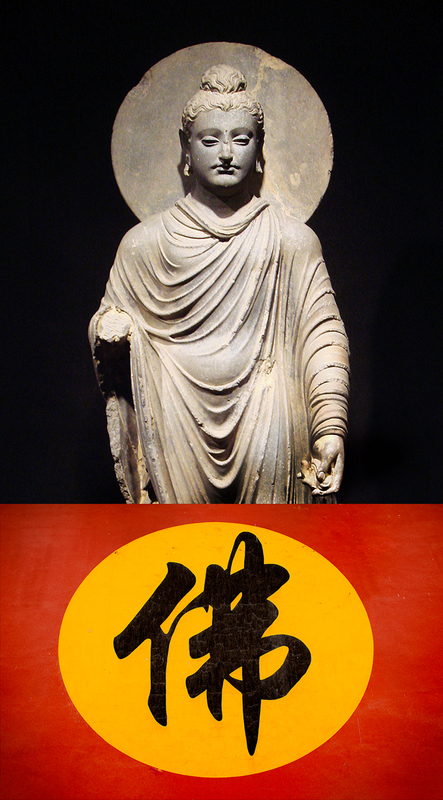 For- with the coming of these invaders, they brought forth a new religion that could hold a monumental sway in the region for nearly a millennium: Buddhism. 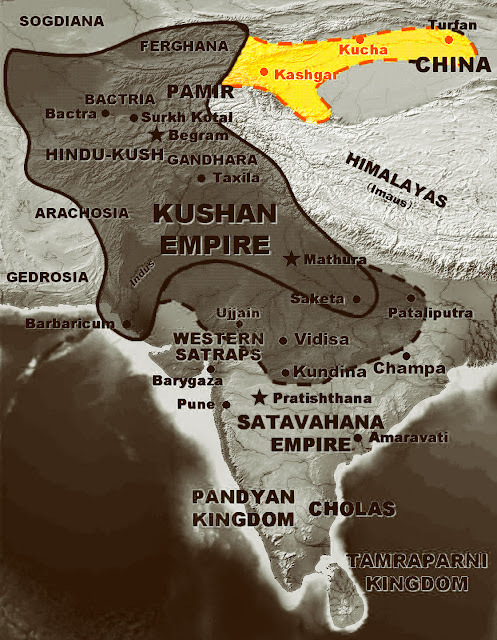 The Kushan hold over the Tarim Basin would disintegrate within the same century in which they have taken hold of the area when the powerful Persian Sassanian empire eviscerated it with an all out assault- forever breaking the empire into many pockets that were soon devoured by the natives of its various regions. 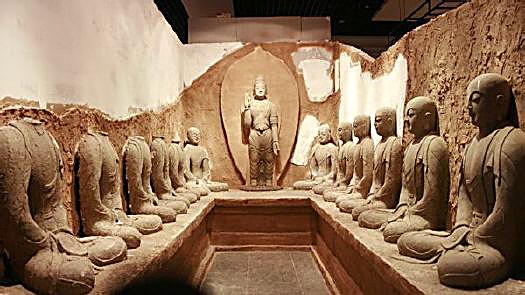 A courtyard of Buddhist stupas from one of the oasis kingdoms. However, during the Kushan rule, they did maintain hold over an extremely diffucult stretch of road that served as a direct highway between the previously isolated Buddhist holy cities of Gandhara to the Tarim Basin~ and the many Chinese polities for more than a century, encouraging travel across the bend of the Himalayas and facilitating the spread of Mahayana Buddhism to China. It was serendipity that during the rule of the Kushan Empire, this Empire of hundreds of narrow mountain passes and forbidden valleys were able to be united under the protection of one throne. 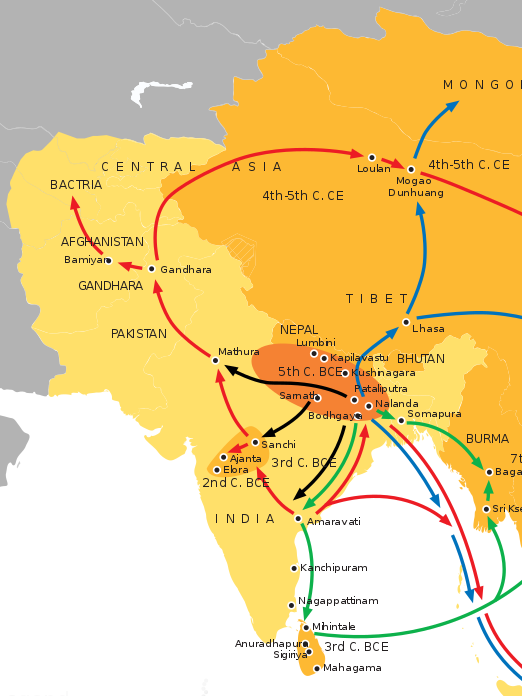 It was the safety of passage guaranteed by the Kushan Emperors that served as a direct highway between the previously isolated Buddhist holy cities of Gandhara in the Indian subcontinent to arc into the Tarim Basin and facilitating the spread of Mahayana Buddhism to China. Cave roof of the Magao Caves in Dunhuang, China. 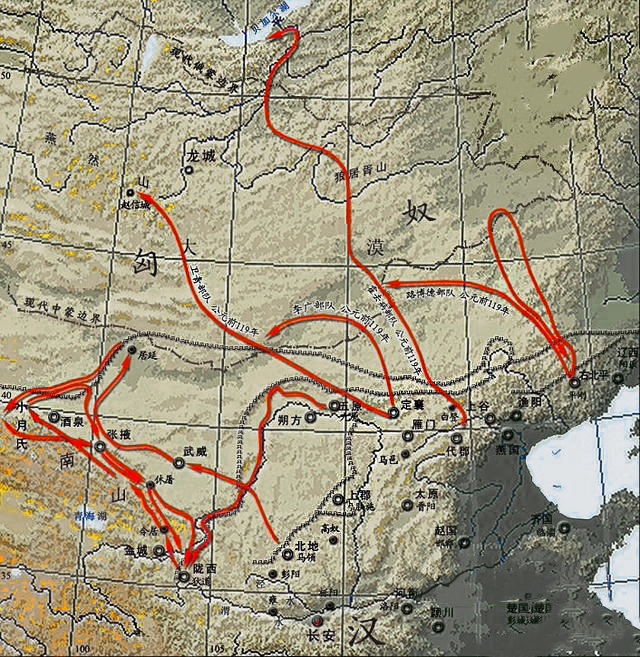 During the 3-7th century, the Tarim Basin and the adjacent Hexi Corridor (in modern Gansu) would have acted as a great place of pilgrimage for Saka, Chinese, as well as Tibetan pilgrims. Through the Silk Road trade network, many people of many races congregated in this boarder less frontier for contemplation and asylum. 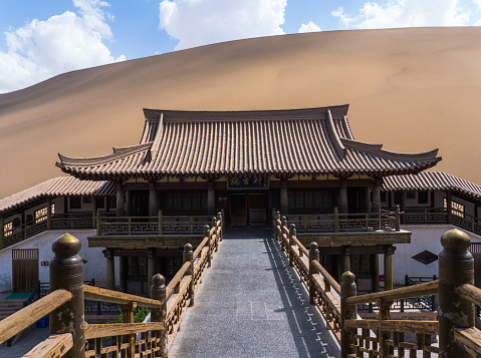 Today the Dunhuang caves contained some of the most accurate and well preserved depictions of many races and cultures that lived nearby for more than a millennium. With the exodus of the Kushans, the Tarim Basin would actually become a major Buddhist center, and a place of pilgrimage and high learning. For centuries here after, the Tarim Basin would became a bastion of Buddhist academia and transmission. After the loss of the Kushan Himalayan "highway" the oasis states would have became a time capsule that preserved some of the best preserved original scrolls and purest transcriptions from the original heartland of Buddhism. 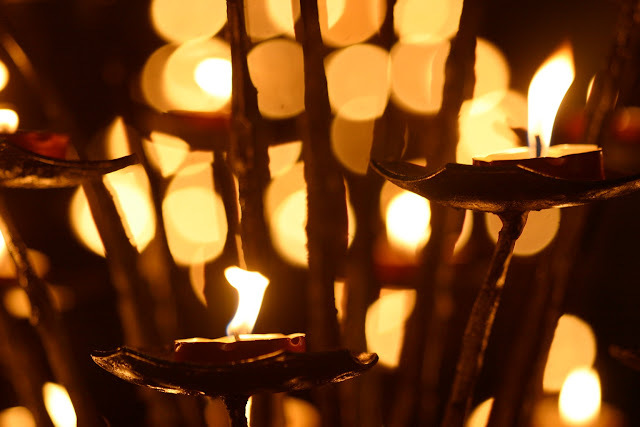 In the ensuing centuries, it was this form of Buddhism that slowly made into China and was related back to east Asian Kingdoms such as Silla Korea and Nara Japan. It was here~ with the massive retreat of the Kushan overlords that the first historical chapter of the Tarim Basin closes. In this first period, this remote loop of fortress like mountains and sea of sand had established a feuding system of city- state kingdoms and faced with its first series of invaders and overlords that lent it instinct, structure, and spirit. With the receding of their Kushan overlords, a new age was upon the Tarim Basin- one that they were free to exercise with their own discretion, and what did all of the oasis kingdoms do with the completion of so many centuries of accumulated foreign culture and extensive wealth from their monopoly of the Silk Road? 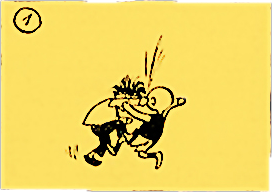 Well, you guessed it~ right back to fighting each other of course. It is here we will leave off the first chapter of the Tarim Basin, join us next time as we talk about the new rounds of clash between the titans of the 6th century and the maelstrom of war and interventions between the 3 superpowers of east Asia over this most beguiling, most illusory of traps.